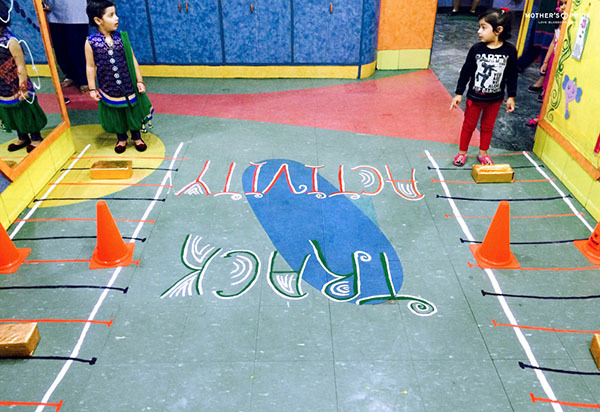 To enhance Gross Motor Development and introduce the concept of ‘Transport’ among children; a “Train Track Activity” was introduced in Mother’s Pride school. 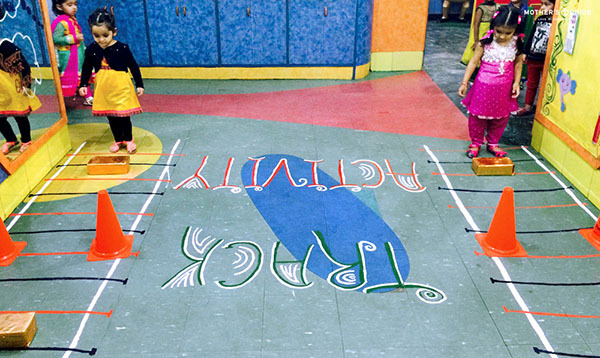 A railway track was made on the floor by the teachers. Free conversation was carried out with the children and questions like what runs on a railway track and where can we see that mode of transport were discussed. 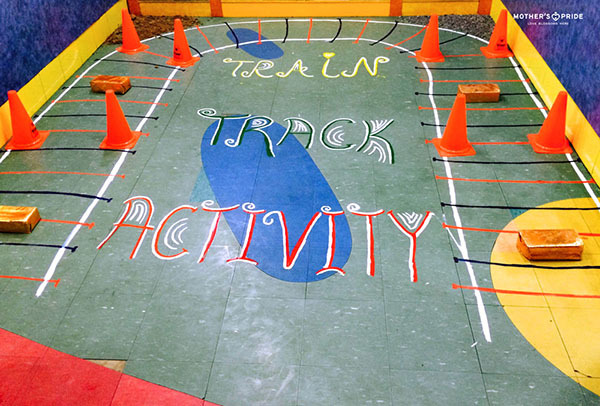 The tracks were then used to encourage children for a race with their peer group. 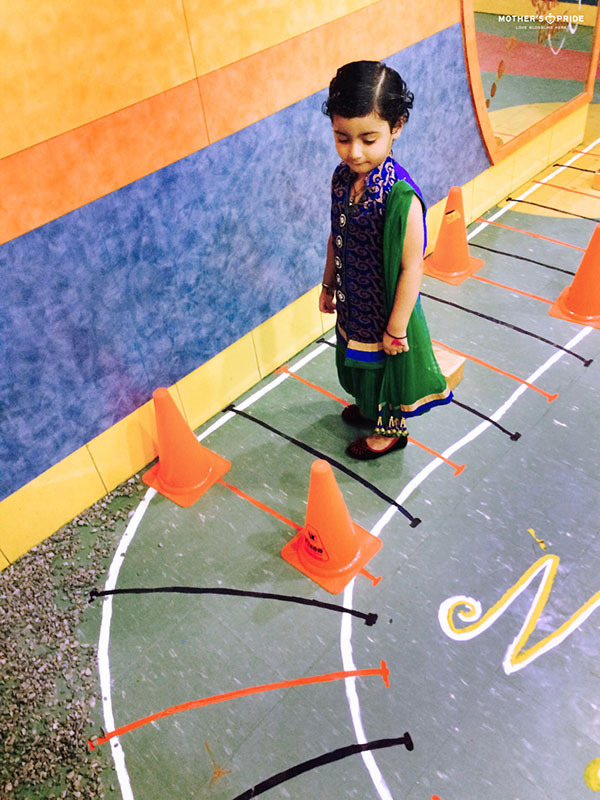 Some obstacles were placed to encourage children to cross them and reach the end point. Two children raced each other from the start till the end. 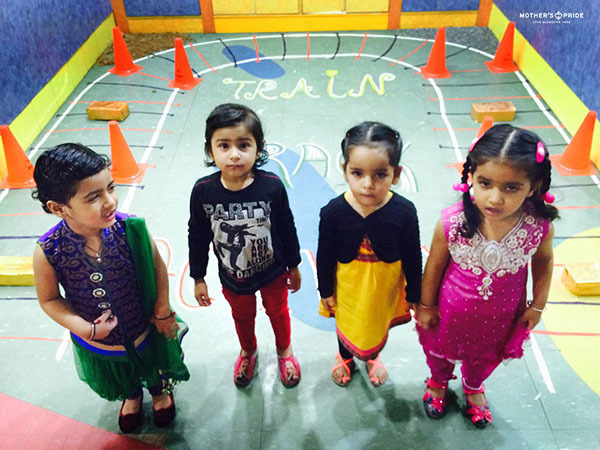 Children enjoyed singing the rhyme ‘Piggy on the Railway Line’ after the end of the activity.